Steve the Cat was an active participant in NASA's Phoenix Mission to Mars. The Phoenix Mission landed in the northern polar region of Mars in late May, 2008. This is his story. 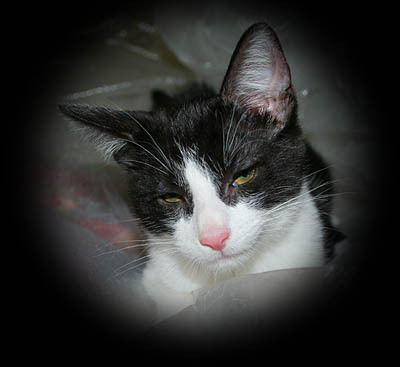 Steve the Cat is a normal cat in many respects - he loves to eat, sleep, and chase his toy mouse. But beneath his calm, cool exterior lurks the wild soul of a frisky feline determined to redefine the cat world with his out-of-this-world perspectives on life, the Universe, and our place in it. Steve may very well be the next evolutionary step in house cats – Felis Beyondus. Steve entered this world in the state of California. However, the initial appeal of surf and sun quickly gave way to wanderlust, and Steve tore up roots and set out to see the world. His whirlwind travels eventually landed him in the small desert town of Moab, Utah. Sensing a deep connection with the mystical red rock landscape, and the fields of wild catnip that grow along the Colorado River north of town, he settled in and christened Moab as his new home. Steve’s keen intellect, along with his predilection for dancing, quickly established him as one of Moab’s hippest cats. His sage advice on everything from movies to cosmology made Steve the quintessential renaissance cat. They say that a night spent under the desert sky, ablaze with stars, changes a man. You should see what it does to cats! Steve’s long nights philosophizing around the campfire, along with a healthy amount of caterwauling, has provided new insight into our place in the Cosmos. As Steve’s caretakers, it is our goal - our obligation - to use this website to share some of Steve’s insights with the world.